Right now I have the problem with my document that some of these vertical spaces are just too big and it does not look very pretty. This broad answer is perhaps sufficient for a vague question. 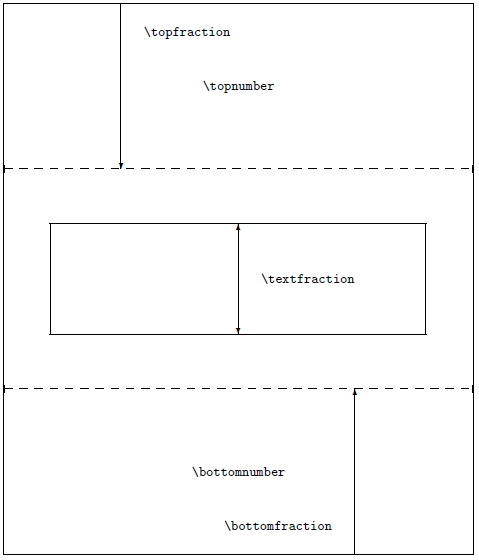 \textfraction: The minimum fraction of a page that must contain text (default is 0.2). 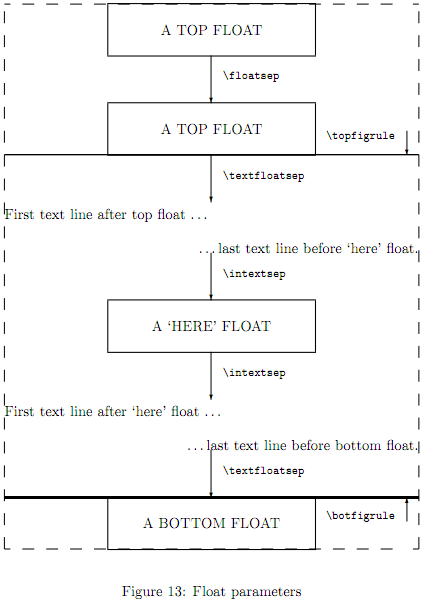 \intextsep: Space left on top and bottom of an in-text float (default is 12pt plus 2pt minus 2pt). You can set any of these at the beginning of your document, and they will have a global effect from that moment onward, unless there is some command or environment explicitly resetting it. To see what your settings for any of these parameters are, use \the.... For example, to see the value of \floatsep, use \the\floatsep. Not the answer you're looking for? Browse other questions tagged spacing floats .